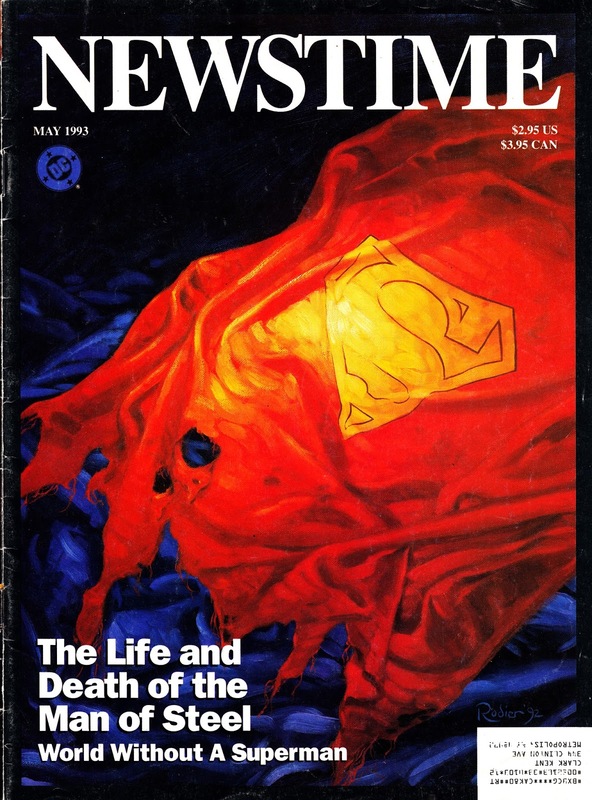 From May 1993: Remember when Doomsday killed SUPERMAN... the first time? DC made the most of the media hoopla around the death of the Man of Steel (the same mass media that was also suckered into thinking every comic book published that year was a surefire investment opportunity... suckers!) by publishing this in-universe current affairs mag (the title is a clue) giving a DCU perspective on the loss and the aftermath. It's a fun read - complete with spoof ads and articles - that complemented events in the main comic books. As far as I know, it has never been reprinted and remains an interesting oddity.